Europe’s freelancing community are failing to meet the needs of more than one in six workers. Individuals who earn a fluctuating income from many sources are by various degrees excluded from or penalized by the welfare state as both contributors and recipients. This demographic – known as the self-employed, freelancers, independent professionals, contractors, and the precariat – makes up almost 15 per cent of the European workforce. Around the world, independent workers are getting organized. No longer an ignorable minority in society, freelancers are waking up to the potential power within their growing number. They are combining through online communities, campaign groups, incorporated associations and even proto-unions to exert influence over their conditions. Independents Unite! 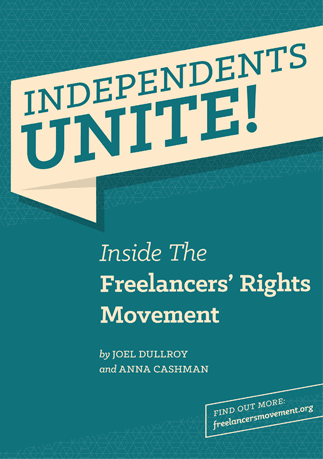 Inside the Freelancers Rights Movement, by Joel Dullroy and Anna Cashman, introduces the concept of the collective empowerment of freelancers. The book provides an overview of the existing elements of the freelancers’ movement, with comparisons of the organizations and campaigns currently at work and the goals they are striving to achieve. Freelancers in Italy have successfully forced their government to reverse harmful new pension and taxation reforms – and doubled the strength of their organization at the same time. By launching a coordinated campaign involving social media and small public demonstrations, Italian freelancers convinced prime minister Matteo Renzi to admit he had made one of the biggest mistakes of his career. His mistake was to introduce a new law on January 1, 2015, which significantly increased pension contributions and income tax for independent workers, who already pay very high rates for access to basic social services. The term “freelancer” is loaded with notions of militant individualism. It conjures up images of an armed solo warrior patrolling a Hobbesian wasteland. This medieval mindset was reflected in a blog piece this week on a freelance careers website entitled “The free market freelancer”, which praised independent workers who battle each other to prove their worth. “The world of capitalism is tough, but fair. A new movement representing freelancers and the self-employed was launched in Spain last weekend, with the goal of protecting and improving the social and political condition of flexible workers. Spain has one of the direst economic situations of any European country, and its workers are bearing the heaviest load, with unemployment running at almost 30 per cent, and youth unemployment almost double that. Traditional economists insist that the required cure is downward wage pressure and creating more flexible jobs. To the average freelancer, plugging away at their laptop on a borrowed wireless internet connection, their situation may seem to be the accidental confluence of technological advances and a shifting, uncertain employment market. 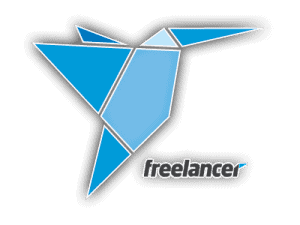 From this perspective the growth of freelancing seems to have been inevitable. Yet today’s website for freelancers should understand that they exist in their current state because of a series of political decisions made over the past few decades that created a grey zone of flexible employment.